This site brings together guidance documents, case study examples of good practice and a host of other resources to enable local government to share with and learn from each other, as well as check their progress against the National Procurement Strategy. These cross-cutting actions have been identified by councils as being necessary for successful delivery in the key areas. The idea is that each council chooses the level of maturity it aims for in each of the key areas. The choices will naturally reflect local priorities and the resources available to the council. It is recognised, of course, that district councils may have different objectives to larger councils. It is envisaged that groups of councils may want to develop their own regional procurement strategies based on this model which reflect their own local and regional priorities. At an event in September 2017 we showcased the LGA’s work on procurement. 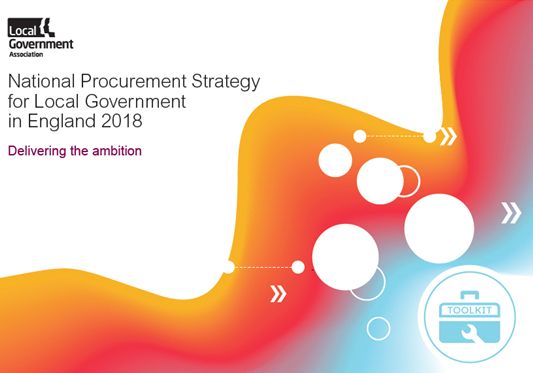 At this event the sector discussed what might be included in a new national procurement strategy for 2018. Modern slavery can take many forms including the trafficking of people, forced labour, servitude and slavery. With local government third party expenditure totalling around £60 billion a year in revenue alone, a strategic approach to procurement should be at the heart of thinking for councillors and decisions makers in local authorities. We need to improve public service commissioning to increase the effectiveness and efficiency of government.